Detox – A process or period of time in which one obtains from or rids the body of toxic or unhealthy substances. Let’s face it, we all have the need to show our bodies some gratitude and love by doing a wicked detox. Whether it be for 3 days or 2 weeks, or maybe you want to shift your lifestyle to be more detoxifying. This is something simple that we can do to rid ourselves of toxic chemicals we come across on a daily basis. Through this post I am going to share simple measures you can take in order to help clean out your body! You can make this a basic or an elaborate plan, the idea is to have an end goal and make sure that you attain that goal. 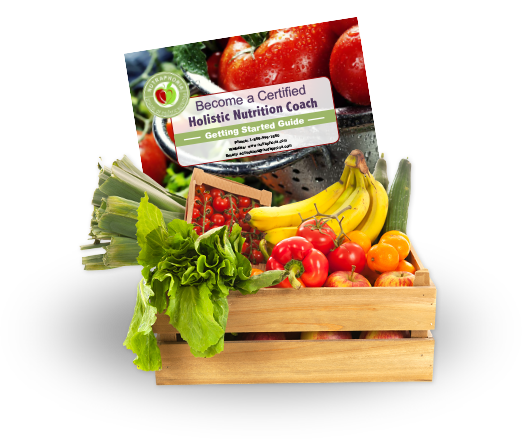 I have shared this plan with family and friends that either wanted to do an involved 30 day detox or a simple 1-3 day detox. This is up to you! For starters, it is important to focus on what you CAN have, and not be bothered by the things you need to cut from your daily routine or eating habits. A great opportunity to try some new recipes or foods at the market that you are not used to working with. Also, each one of us is different and we need to pay attention to our bodies to know what is right for us. What I am about to layout is what I find works for me, you may need to make some adjustments to create a plan that works for you! Without knowing it, we tend to abuse our bodies by eating unhealthy foods and drinks which puts stress on our internal organs. This paired with a lack of exercise and a hectic daily life may cause physiological, physical and mental problems. Diseases are cause by a build up of toxic matter in your body’s tissues. It is important to promote the intake of foods and drinks that are useful in flushing out toxins. 7AM – Try to get out of bed at the same time every morning, and avoid screens for 1 hour. At this time have a hot glass of water with or without lemon and cayenne. Enjoy this with 5 – 10 minutes of stretching and setting and intention for the day or having positive thoughts (ex. how will you show love to someone or something today). Now it is time to break the fast, have 1-2 servings of a low sugar fruit. 7:30AM – Drink 2 glasses of room temperature water. Before having a nice shower, exfoliate your skin. This is beneficial for your lymphatic system and to aid in detoxification. While in the shower, avoid using toxic shampoos, conditioners etc. Instead, try baking soda as a shampoo and body wash substitute and apple cider vinegar as a conditioner for both your hair and body. Both of these can be diluted in a bottle before getting into the shower. To finish off in the shower, try blasting yourself with cold water. 8AM – Oatmeal every morning. There are many benefits to this amazing whole grain and many varieties on how to consume it. Add cinnamon and honey or some nuts, but be sure you soak your whole grains before consuming. Take time to sit down and eat, and once you are finished you can prepare some other foods for yourself for the day. 8:30AM – Breathing and Yoga exercises. This is my favourite art of the morning. Take some time to connect with yourself and your breath and stretch out your body before heading off to work or whatever it is that you do. There are many free online sources to help you with this process. It is important you don’t skip this bit. follow your practice with a glass on cleansing Aloe Vera juice! filled with enzymes, amino acids, vitamins and minerals. 10AM – Morning Snack. Have something small to keep you going until lunch, a handful of nuts or a homemade granola bar is a great snack. Be sure that you are consuming lots of clean filtered water throughout the day but avoid drinking 30 min before or after eating. 11AM – Drink lots of water now! 1PM – I tend to eat my lunch a little later in the day and keep it light! A warm bowl of homemade soup or a nutrient dense salad are my go-to’s. 3PM – Afternoon snack can be as simple as some chopped raw veggies with homemade hummus, or avocado on a rice cake or homemade sprouted grain bread. Avocado is a great healthy fat and I enjoy them almost daily or some kind of healthy fats with omega 3’s. It is important to be making all of your food at home as to not be consuming preservatives and other additives during a detox. 4PM – I really enjoy having a warm apple cider vinegar drink with honey and cinnamon in the afternoon. This helps aid digestion and alkalize the body while honey and cinnamon is good for your joints and overall health. 6PM – For dinner I tend to make something that requires a little more time. I do really enjoy food and I don’t want to be stuck on a bland diet. Experiment with your veggies, but be sure to not overcook or fry your foods. If you are using fats or oils make them healthy ones! Roasted veggies with some soaked grains or a stuffed pepper, many options here but remember to stay away from animal proteins and hard to digest grains. 8PM – This is a great time to go for a brisk walk or short cardio workout. After your food has fully digested and before you settle in to a good book or something to calm yourself down for the evening. I hope this helps you on your quest to detox your body. Be sure to make any changes for yourself and your daily routine. I started out with doing this a couple of days a month and now it has become a full blown routine. once you get started and notice the benefits I feel you will do the same!